A specialist leather cleaner for nubuck, suede and aniline leathers. 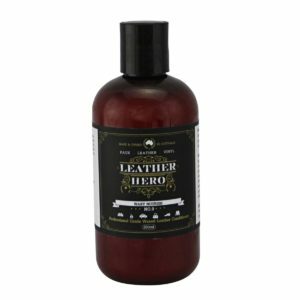 Cleans dirt and grime and soften the appearance of stains. Unfinished leathers are beautiful on the eye and luxuriously warm for the hand. Being unprotected, they are vulnerable to permanent soiling and stains. Over time a patina of marks will tell the tale of the life of the leather. Regular cleaning and conditioning can make a world of difference to the way it ages by softening marks and adding a protective barrier that adds a level of stain resistance. 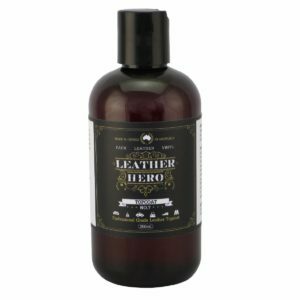 Leather Hero Nubuck, Suede and Aniline Cleanse (No.10) is a gentle cleaner specially formulated to help remove dirt and grease from unfinished leather. Also available in Small and Large Repair Kits and 1L pack size.